Club Penguin Cheats by Mimo777 Club Penguin Cheats by Mimo777: Welcome to Club Penguin Commercial! Yeah, this might look a little familiar to you. But, hey, it has been updated and still kinda cool, huh? 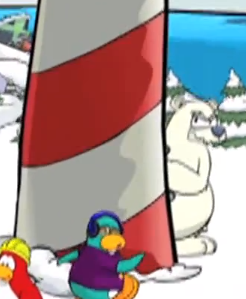 There is Herbert on 00:02 in the right of light house!!! Go and see!